For an equine athlete to remain healthy, the horse needs to have its body and mind strengthened and conditioned over a significant period of time. To perform to its highest level of potential, the horse needs to be encouraged into a ‘healthy frame’ or ‘position’ that allows it to develop the necessary muscles for balance and throughness. 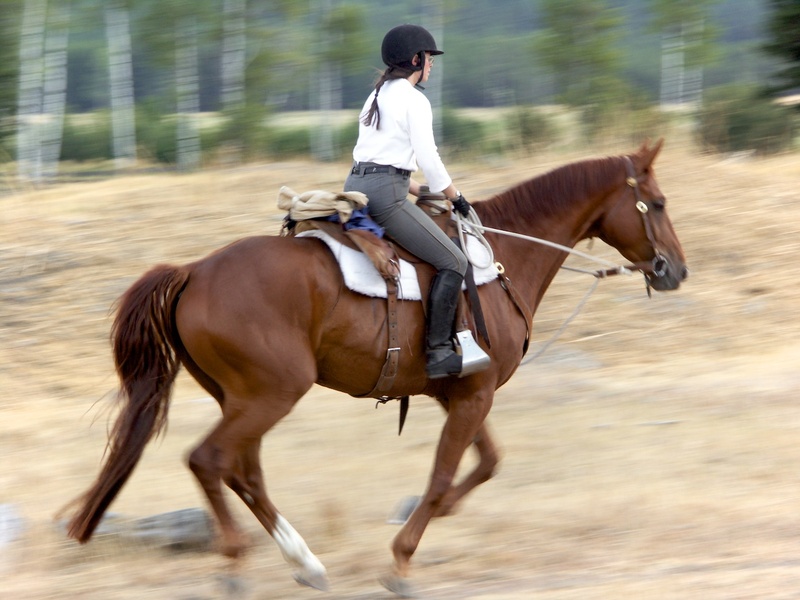 When these muscles have been developed through a careful and complete conditioning program, the equine athlete will be able to enjoy moving freely without injury for many years. Just like a human athlete, for an equine athlete to remain healthy, its body (and mind) must be conditioned over a period of time. An individualized conditioning and schooling plan is instrumental in establishing a strong physical and mental foundation for the equine athlete. Each discipline requires a different combination of mental control and neuromuscular coordination. A healthy conditioning (fitness) plan encourages maximum performance by inducing physiological and structural adaptations within the athlete. On the other hand, schooling exercises increase an equine’s motor control and mental discipline. Different exercise workouts have different goals that should be in line with the goals of the chosen discipline and the baseline condition of the horse. By incorporating discipline specific conditioning for both the horse and rider, RPH encompasses this foundation piece to bring along the performance athlete. Schooling exercises center around a horse’s mental and motor control. Therefore a schooling plan needs to take into consideration any specific coordination or mental challenges presented by a specific discipline. Examples would include: jumping, reining, and calf roping. Jumping requires a horse to learn to balance himself over a fence while reining and calf roping require a quick response from the horse off of the riders leg and seat aids. My schooling program incorporates the classical training scale in my schooling plans. I follow the classical scale that has been successfully used to encourage healthy progress in performance horses. Relaxation, balance and appropriate hand contact are at the foundation of the scale. Followed by throughness, impulsion, straightness, and at last collection. By progressively bringing the equine athlete along at an appropriate sustainable timeline, one is able to maintain the healthy mental and physical well being of the horse. The foundation blocks in RPH are based on are applied, real-life, proven, successful Natural Horsemanship and Classical principles. Underlying these foundation pieces within the program are the scientific principles of biomechanics and conditioning physiology. By following a performance plan, these proven foundation principles will help your equine athlete to attain the level of performance that you are seeking and help enable your athlete to continue at a performance level for many years. Both conditioning and schooling sessions need to start with a proper warm-up. An effective warm up has the benefits of enhancing performance and reducing the risk of injury. A well-designed warm up involves the gradual increase in exercise intensity, which facilitates the body’s adjustment from rest to exercise. The first objectives are to establish physical and mental relaxation in the horse, so that the limb movements become free and elastic and the horse starts to move through his/her back. Contact Karen to help you design a custom conditioning program for your horse.